It's a common phrase used with the benefit of hindsight that 'youth is wasted on the young', though often saying more about the orator than the subject of the oration. Many are the things we wish we'd done when we were young enough to do them, and now envy rears its ugly head when those with the opportunity fail to take advantage. It is, as we all know, but often fail to recognise, unfair to tar all with the same brush, for some youngsters have already achieved more than some of us old farts are ever likely to manage. I make no apologies for sliding sideways into the jazz realm for this; witness Art Blakey and the jazz messengers. Art was a highly influential and successful jazz drummer, who spent his mid to latter years bringing on some of the world's most promising young horn players, providing them with the benefit of his experience and of his name in garnering many impressive venues to portray their talents. Blakey did not expect those young players to stay with the messengers for the remainder of their careers; he was grooming them for personal stardom. In the cycle world, particularly related to cyclocross, the inestimable Richard Sachs all but provides the same experience, and particularly this season with the recruitment of Dan Chabanov. 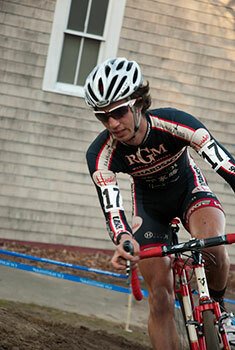 To quote Mr. Sachs; "Dan's an NYc kid who transitioned from messenger to a cat 1 elite cyclist. We tried to fit him in during 2010, but had to wait until 2011, and he's been a real gift to the lovely debs, e-richie, the team and sponsors. "Dan is a rare young man who has the drive, the humility, is charming, knows how to communicate, can make the front selection of a race, and remains just a plain old nice kid from Brooklyn by way of Russia. 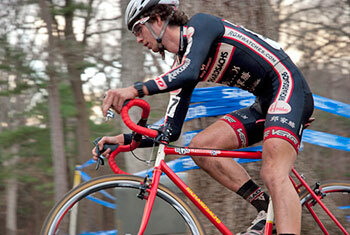 Praise indeed from the master framebuilder, no slouch himself on the cross circuit. So, in order that I might find out more about Dan Chabanov, and how someone manages to impress so highly, I asked him a few questions. Though I have no wish to embarrass him, he prefaced his answers by saying that English is his second language, but he had tried his best to make them as readable and coherent as possible. I can only reiterate my reply by saying that I know many folks for whom English is their only language and who could not hope to be as clear, lucid and concise as Dan Chabanov. Though perhaps not as prevalent a career option as wishing to become a rock'n'roll star, train driver or astronaut, there are those who have a serious hankering from an early age to race bicycles. Had the bicycle always been front and centre for Dan, or did he consider himself a late developer? "In high school I was a swimmer. I swam from when I was about nine years old until I was 18. There was a bit of overlap with bikes coming in to my life but I don't think the bike became "front and center" for me until I was 20 or so. I guess that makes me a late developer. But as a swimmer I was training six days a week, between three and five hours a day. In high school it was sometimes twice a day. I competed at national level a few times. So when racing a bike became something I decided to focus on I already knew what it took so to speak." The life of a cycle messenger is well documented by way of blogs, videos and books, and though it allows cycling on a daily basis, it's certainly not what you'd call an easy job option. it is, however, a way to earn a living. Was cycle messengering for Dan simply an opportunity to ride his bike all day, or simply a way to earn a living that happened to require a bike? "At first it was a way to be on the bike all day. As racing and training began to take over my life more and more, it became just how I paid my bills. When that switch happened I knew I had to find some other way of making money. It's not the easiest job on the body and the higher you go in bike racing the more rest you need. But I have no regrets. Getting on the bike for work is how I eventually ended up where I am today. A lot of couriers in the NYC scene were ex-racers or guys like me who were young, eager and wanted to give racing a shot. We used to ride out to the Kissena Velodrome, make some minor modifications to our work bikes and race the Wednesday night series in the summer." How long did Dan remain a messenger? "I got my first job when I was 19. I quit about a month ago. So five years." relating to that substantial documentation regarding the art of messengering, it doesn't seem too much of a stretch of the imagination to think that perhaps running the gauntlet of daily traffic in New York city could have benefits when translated to the less frightening world of cyclocross racing. Has Dan found this to be the case? "Riding a bike almost every day for five years as a courier has definitely made me very comfortable on the bike. Riding in traffic is in some ways just like riding in a pack. There is a flow to it and once you figure it out, it's not as scary as it first looks. Holding your line and making space for yourself in a crit is not all that dissimilar to doing it in traffic. The way you would let someone know you're moving up on them in the pack is kind of like tapping a cabbie on the side to let them know you're there. In the same way that an experienced rider avoids someone they know as a 'bad wheel', I would never ride next to a cab with its 'empty' light on. Being comfortable going fast in the small space between cars gives me confidence to carry speed through tight sections on a cross course. I guess I could go on but I feel it's important to mention (even though I think its obvious) that there is nothing quite like racing a UCI cross race, just like there is nothing quite like riding down 7th Avenue past Madison Square Garden at 5:05 pm." Though messengering provides its own point-to-point, fulfilling the necessity to make deliveries and pick-ups in often strictly defined time limits. but that's almost solo competition. Where did the racing bug come from? "Bike messengers are competitive by nature. So the first races I ever took part in were street races called Allycats. Basically a bunch of messengers get together, someone comes up with a list of checkpoints and the first person to make it to all the checkpoints wins. I raced these kinds of races all over, Boston, Baltimore, DC, SF, London, Philly, and obviously NYC. The same competitive nature got me to go out with a few friends to Kissena Velodrome and try racing the track. That's when I bought my first USAC licensee. For a few years I only owned track bikes. So I only tried road racing when Steve Willis at the Bike Stand generously gave me a bike that a customer left sitting around at his shop for far too many years. It was a Viner built with Columbus SLX. It had eight speed Dura-Ace on it. I won my first cat 5 road race in Prospect Park on it. I decided to give cross a try in 2008 and bought a cross bike from a courier buddy for 400 bucks or so. It was a lugged Bianchi with a quill stem and a mish mash of nine speed parts. I raced that bike right up until I got my Cat 2. From there it all sort of spiraled out of control." There's no doubting that being in possession of a cat 1 racing license is unlikely to do Chabanov's career prospects any harm. How long did that take from a standing start? 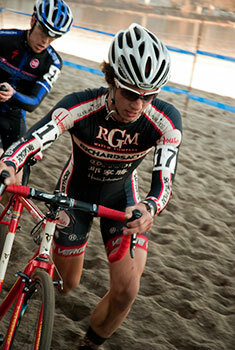 "I did my first track race at Kissena in 2007. I got my Cat 1 in cross at the end of 2009 and my Cat 1 on the road in August 2011. It felt like it took a really long time. Like those dates don't really do it justice." it seems almost redundant to ask if road racing has featured in his short career so far, given that this year provided him with that all important road cat 1, but is it safe to assume that a degree of road-racing has featured too? "Lots of road racing. 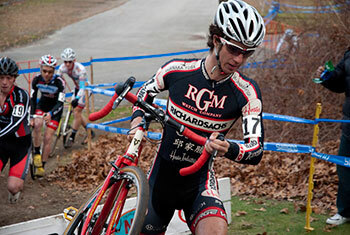 I raced a full season with Jonathan Adler Racing before my first elite cross campaign in 2010. This past season I raced a full season with the NYC based GS Mengoni squad. Next year I'll be racing and traveling full time with the CRCA/Foundation team. I like road racing but obviously cross is very dear to my heart and if I had to choose just one discipline it would have to be that. But right now I can race road at pretty high level and I think that will help me realize my full potential for cross which remains my personal priority." as referred to in Richard Sachs' tribute to Dan at the beginning of this feature, he'd have liked to have had him in the team in 2010. Why didn't it happen until this year? "I think it was a combination of the team having a full roster by the time we started talking and the fact that 2010 was going to be my first year in the elites. Although I had some great results in 'B' races its hard to predict how those successes will carry in to the elite category. Putting me on would have been a pretty big risk. But all's well that ends well. I had a good thing with NYCROSS.com in 2010. They got me to all the big races and I was able to show myself well, gaining a lot of valuable experience doing some of the big New England races for the first time. I would always try and park somewhere near the RS team camp through the season and exchange a few quick words with Richard when he wasn't too busy. Like I said, it all worked out in the end." 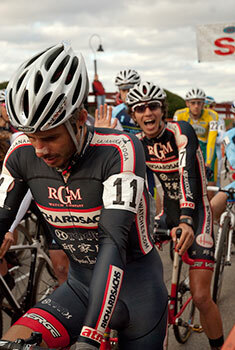 and is riding for the Richard Sachs team as cool a gig as it appears? "Oh man, it's the bee's knees! We have such a great thing going. I've honestly been a little down because our New England season is over. I could go on and on about how we do things, but enough has already been said about the principles this team works under. Having experienced it first hand this season i can safely say that it is the correct way. The emphasis is on all the right things. Our results are just icing on the cake." and as a personal point of enquiry, are those Sachs bikes as dreamy to ride as I hope they are? "The wheels are most certainly in the right place. I feel like sometimes people want to get caught up on the lugs and the classic aesthetic but these bikes are first and foremost race bikes. Everything about them is meant to perform at the highest level of the sport. They are at their best 45 minutes in, when the heart rate is through the roof. That's what they were designed for." Not wishing to repeat the accusation of youth being wasted on the young, to go from messenger to cat 1 racer in such a short space of time didn't just happen by accident; work has obviously been involved, coupled with more than a smidgeon of talent. in the interests of sharing, does he have a secret training schedule that would make us all as good as Dan Chabanov? "Ha. Not really. I like riding my bike so I just do that, A lot. Most of my training is long road rides. When I feel good I'll go hard and hit lots of little climbs and hammer. When I'm tired or know I need the rest I'll just avoid the climbs and enjoy the scenery. I'm not big on very precise structure. When i need the intervals I'll find ways to work it in to my ride but I'm not one of those guys that has everything planned out three months in advance. I also really love taking my cross bike out on mountain bike trails. It's a great way to work on bike handling and it's really fun. I think that might be the secret; if you keep your training fun you might actually do it." my own attempts at cross riding have nothing whatsoever to do with racing, but that doesn't mean that i can't experience the same ground conditions, though i confess that at this time of year, mud is in the ascendancy. 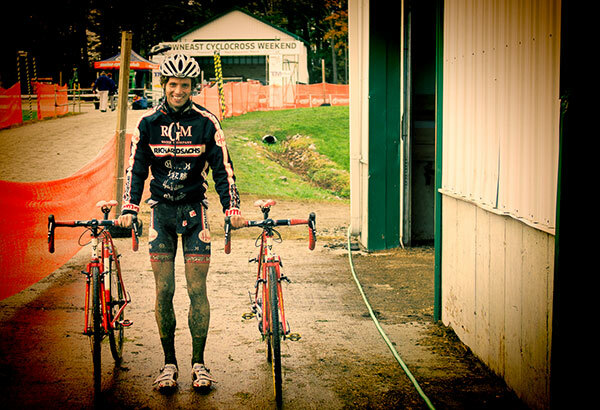 does Dan have any preference for hardpack or mud when racing? "I think it's too early for me to pick favorites or specialize. Most of my good results have been on dry courses. But it's not like I have an aversion to mud, though I do think I need some more experience with mud to really learn how to ride it well." Hanging on the wall at Debbie's in bruichladdich is a framed Richard Sachs poster affirming the philosophy that underpins his racing team. Aside from the not unimportant features of representing the sponsors to the utmost of their abilities, the over-riding philosophy is that of enjoying the team spirit and most definitely the racing itself. Insisting on sponsor representation may well be a major feature pertaining to all other cyclocross teams, but rarely have I seen it writ so large. Is this a part of the job that Dan is happy to fulfill? "It's very much part of the program and I am very happy to do it. I feel like it's the least I can do to repay our sponsors, suppliers, and supporters. Honestly, it's fun. I like telling people about our Cole wheels or our Zanconato chainrings, and honestly I can't stop gushing about how much I love my Rudy sunglasses. We get to use some really cool products and yeah I feel like it's part of the deal to make sure those things are front and center at the races. From showing up with clean and shiny bikes to the little things like having my Rudy sunglasses planted firmly on my head or just generally being approachable, friendly, and presentable at the races. I feel like when the organization that's behind the team gives us so much, then it's my job to sweat the dewhen watching the one-day classics or the world's major stage races, it's possible to see the strategies of the genre being played out over the course of the day or ensuing weeks. 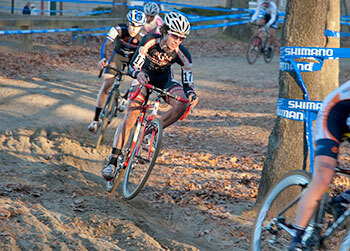 Cyclocross, on the other hand, often looks as if it's simply a case of 'eyeballs out' for about an hour. in reality, is it a bit more strategic than that? "Yes. At a certain point the fitness level evens out and you can't simply ride away from the people you're racing against. So then you have to figure out what you're good at, what they are bad at and vice versa. Then again some races all you can do to keep the bike moving forward is go eyeballs out." the very fact that Richard Sachs took the time to contact me regarding one third of his team is likely indication enough that he owns a level of pride in this young and exciting rider. Tautologically, this ideally ought to work both ways, so does Dan see himself being a part of the Sachs team come the 2012 season? "Absolutely" at 25 years old, it's safe to assume that he has a number of racing years ahead of him. What's Dan Chabanov's cunning plan? "Well, I know USAC says I'm 25 but I'm actually only 24. As for the cunning plan, I want to take this bike racing thing as far as I can go with it. I don't want to look back and think I should have done this or that. Right now what I want to do with my life is race bikes. So that's what I'm going to do to the best of my ability. I don't have any delusions of greatness. I'm not trying to go race my bike in France in July. I've been making steady progress and I just want to keep doing that; just keep getting to the next level, until I either run out of levels or decide that it's time to do something else with my life. I don't think either is going to happen in the foreseeable future." The opening photograph by Christopher Harrison. All other photos by Taylor Dube except family photo by Keith Snyder. Thanks to both Dan Chabanov and Richard Sachs. posted Sunday 11 December 2011.